This is a 2x scope that came off of a S&W 686 revolver from the early to mid eighties. This scope could be about the same age, not sure. It comes with the mounts to put back on a 686. I'm guessing it will fit other models or revolver brands, just not sure. 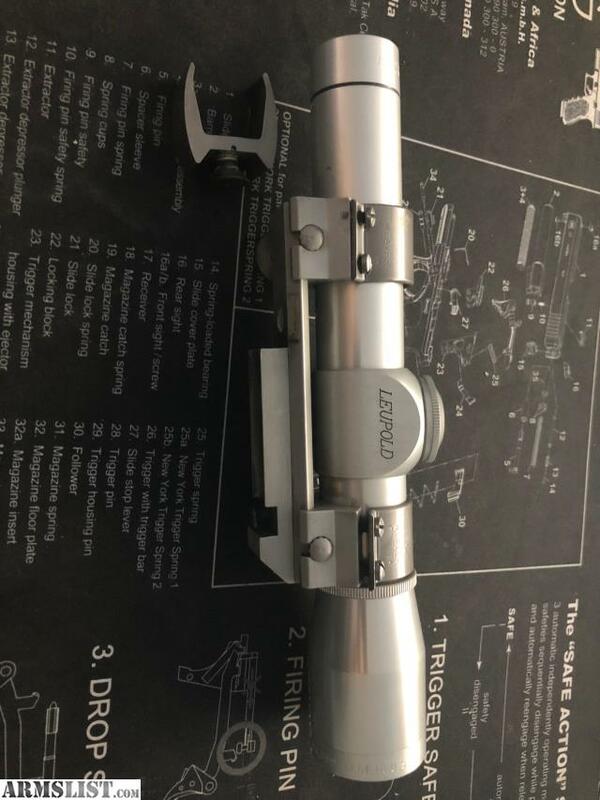 The scope Leupold currently sells is a 4x with a $585 MSRP and $399 on Optics Planet as of this post.